The 6.5" Kevlar cone woofer produces profound mid and low frequencies and the silk dome tweeter blends well to produce a clear and crisp sound. Kevlar is a supreme material, because it is lightweight, yet extremely rigid. Lightness and flexibility of the cone means the speaker can move faster which is significant for accuracy and detail of the sound. Rigidity is giving fewer warps during movement resulting more precise performance. 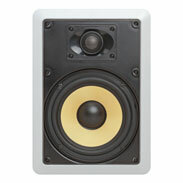 Like all of our speakers this pair includes a tweeter that swivels 35° each side. 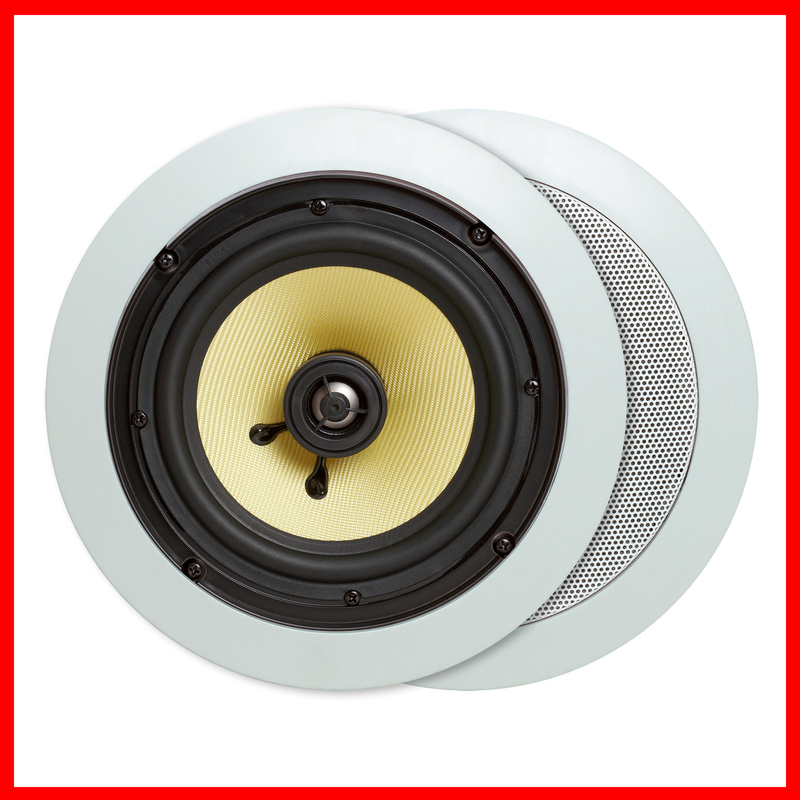 This allows the highest, most directional frequencies to be pointed at the primary listening area while allowing the speaker to maintain its flush-mount appearance. 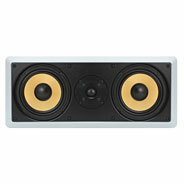 Tone is controlled through separate +/-2dB switches for both the high and low frequencies. This feature allows you to customize the sound to your room and personal taste. Pair 6.5" Pair 6.5" 1 Piece 2 x 6.5"